IBS Intelligence - Blog: What does the future of the bank branch hold? What does the future of the bank branch hold? Is the branch dead? On evidence of the RBR Branch Transformation event held in London, the answer is a resounding no. Banks from around Europe lined up to discuss how they are transforming their branch experience to meet the demands of the modern retail customer, and while the consensus is that branch networks are shrinking, the branch remains integral to customer acquisition and retention, as well as for generating product sales. Stefaan van der Vekens, head of model management and innovation at Belgium-based banking group, KBC Bank, for example, said that 99 per cent of the bank’s customer acquisition was still happening via its branch network, with a similar percentage for its sales. The growth of mobile and online channels is far from a new phenomenon, but speakers alluded to tools such as these more as a way to engage with the customer better and act as a sales lead, as opposed to being the single window for customer interaction. It would be easy to fall into the trap of assuming that branches were therefore safe, but clearly banks are taking the threat of new entrants and changing customer expectations seriously. Across Europe, branches are undergoing huge facelifts, with new technology and better trained staff being trialled to marry the digital experience with the physical one. 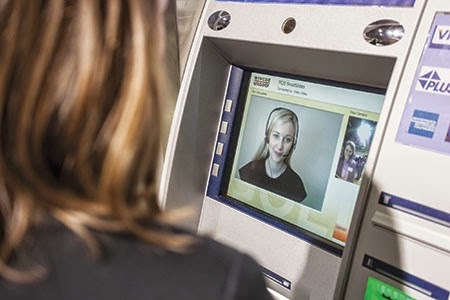 Smart tellers, video call centres and tablets are probably coming to a branch near you soon. But at the heart of this innovation are two simple concepts: reduced cost and increased customer service. Turkey-based Kuveyt Turk Participation Bank, for instance, outlined how setting up a normal full-service branch costs the bank nearly $500,000 a time. ‘We were thinking that we should be opening 50 branches each year to match our competition,’ said Okan Acar, manager for retail and business banking product development at the bank, the cost pressure of which forced the bank to look at alternative means. This manifested itself in what the bank calls the Extreme Teller Machine (XTM). 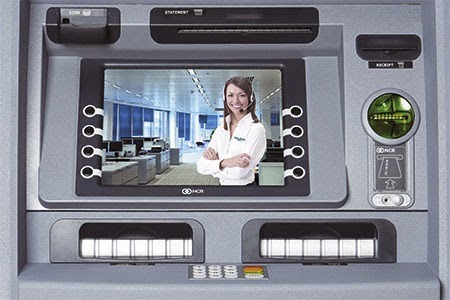 The technology is supplied by GRG Banking, a Chinese firm which the bank has contracted to provide a customised version of its video teller offering as an alternative to the conventional bank branch. XTM allows the bank’s customers to carry out a full range of banking functions, including opening new accounts, making payments, conducting credit card and loan applications, Swift transactions and paying utility bills. The video functionality also allows 24/7 face-to-face access to customer services teams for more complex requests. ‘Our customers now understand they can access financial services easier than before,’ remarked Acar. Importantly, the cost of launching an XTM branch with two staff to provide assistance costs $120,000. Maintenance costs are also significantly lower, coming in at $5,400 a month compared to $74,000 for a full branch. A recurring challenge for banks undertaking branch transformations is the retraining of staff and the change of mind-set brought on by new processes and ways of servicing customers. KBC Bank’s Vekens explained that so far 60 per cent of its staff had either moved roles or locations during the bank’s ‘Bamboo’ branch transformation strategy. The bank is aiming to rationalise its branch networks from large universal branches offering a full range of services, to a layered approach, with smaller outlets with a core team of bankers, scaling up to a handful of central hubs with full banking services and experts on hand. ‘This way, we are able to focus, be flexible and keep our costs under control,’ he said. A key phase of this strategy is to provide staff with what Vekens described as ‘social training’ to enable them to provide better customer service. ‘We have training programmes running but we are only at the start of that. We see this as an enormous challenge,’ he said. Barclays has attempted to turn its traditional tellers into ‘Digital Eagles’, trained to use technology such as iPads and smart ATMs, as well as equipping them with improved customer service and sales skills. Karl Hynes, head of branch transformation and self-service at Barclays, emphasised that using the technology was designed to give the customer more control, and to make visits to the branch less reliant on staff. ‘The role of the colleague shifts from processing the transaction and doing the activity themselves, to helping the customer, reassuring them and teaching them to be able to be more self-sufficient,’ he said. Hynes cited the example of the self-service experience at supermarkets, suggesting that customers prefer using the technology as they feel more involved and independent, despite evidence showing that transactions take longer to process. Graeme Hughes, group director of distribution at UK building society, Nationwide, raised another challenge, which was the spacial limitations banks face across their network. He estimated that roughly one third of Nationwide’s branch network was hidden from the customer, as either office space or vaults. ‘We do have one major problem, and that is that real estate in the UK is extremely expensive,’ he said. Nationwide is looking at ways to open up space in its branches, including replicating KBC Bank’s strategy of removing cash vaults from many of its branches where cash transactions are being phased out and automated. 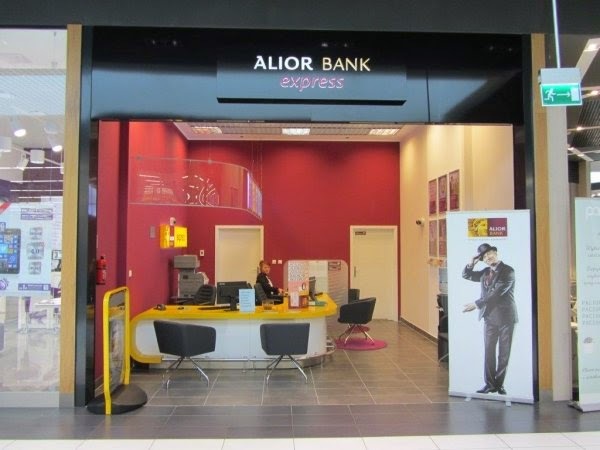 Alior Bank has overcome the problem of costly retail space on the high street by positioning its new Alior Express branches (described by Katarzyna Rybicka, head of strategy department at Alior, as ‘McDonalds’ branches) in shopping malls and other major retail outlets, with extended opening times. It has also offered branch-specific promotions, such as commission-free bill payment services, as a hook for new customers, with the potential to cross-sell more profitable products such as loans. The RBR event was perhaps a reflection of the perceived importance of the branch for banks, given the high proportion of bankers in attendance compared to vendors and exhibitors. That the agenda contained such a variety of different strategies also suggested that there is no golden template for how best to modernise the branch and there is still some uncertainty as to what the best approach is. Branches are certain to change in the immediate future, but perhaps their predicted systemic demise has been slightly overblown. For more analysis on branch transformation, visit the IBS Intelligence website. Follow the author of this blog on twitter. According to me the branch is not dead. You have shared some excellent points to prove it and I'm very happy to read such an informative article. Thank you! Thank you for your comment Apoorva, glad you liked the piece. You can have a look on our website www.ibsintelligence.com for more content like this on a range of different topics.